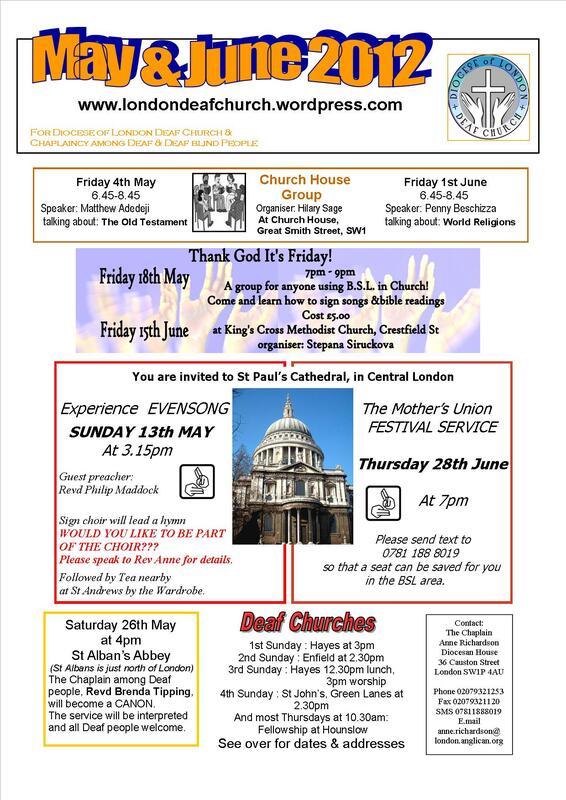 Information for May and June has been squeezed onto one newsletter! Please download by clicking HERE to take you to the Deaf Church page. On the back, you will see a handy calendar, with addresses, helping you to keep track of when and where events are happening.